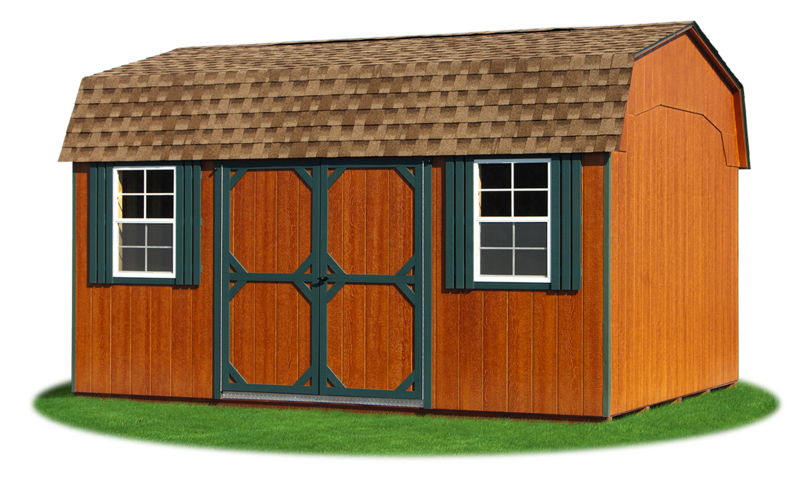 What's New At Pine Creek Structures? 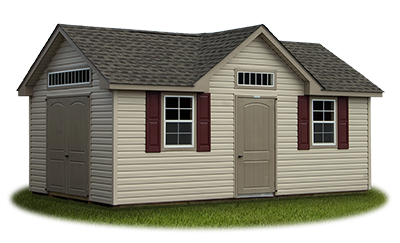 At Pine Creek Structures, we're always evolving and growing to better serve our customers. 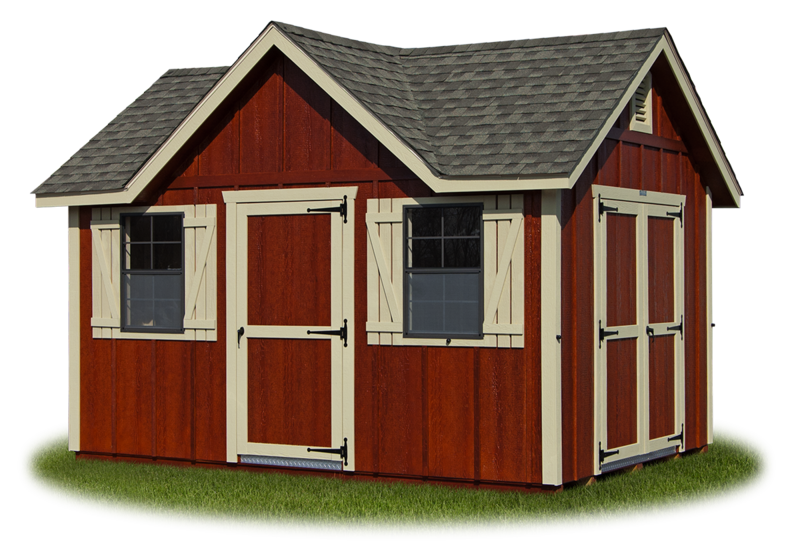 This includes adding new products, options, and colors! 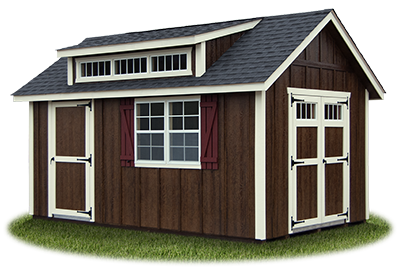 Keep reading to learn more about our newest options and products, including Colonial Archtop Doors, LP Board 'N Batten Siding, polyurethane colors, and cape dormers. Pine Creek Structures now a new fiberlgass door upgrade... Colonial Archtop Doors. 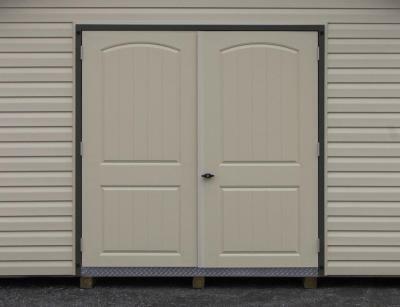 These fiberglass doors are available in 30" single, 36" single, 5' double, and 6' double in your color choice. 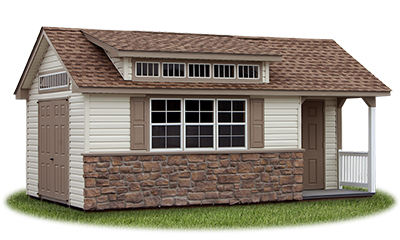 Featuring warm sandalwood vinyl siding, artisan clay trim and doors, red raised-panel shutters, and weatherwood shingle roof. 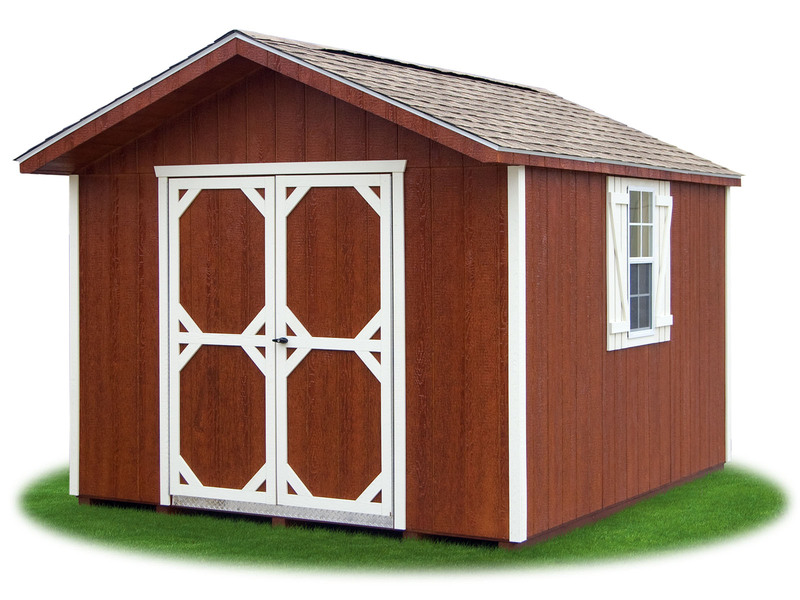 Pine Creek Structures now offers more color choices! 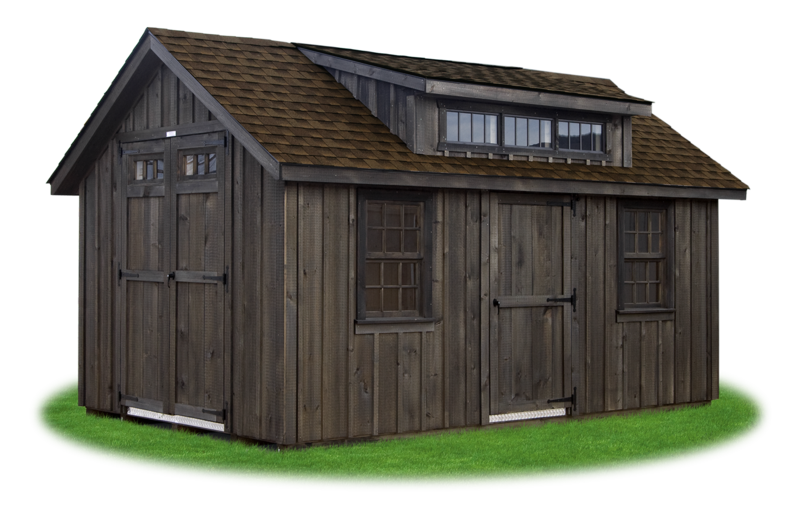 Our polyurethane color choices (for LP Smart Side and LP Board 'N' Batten siding) now include Driftwood. 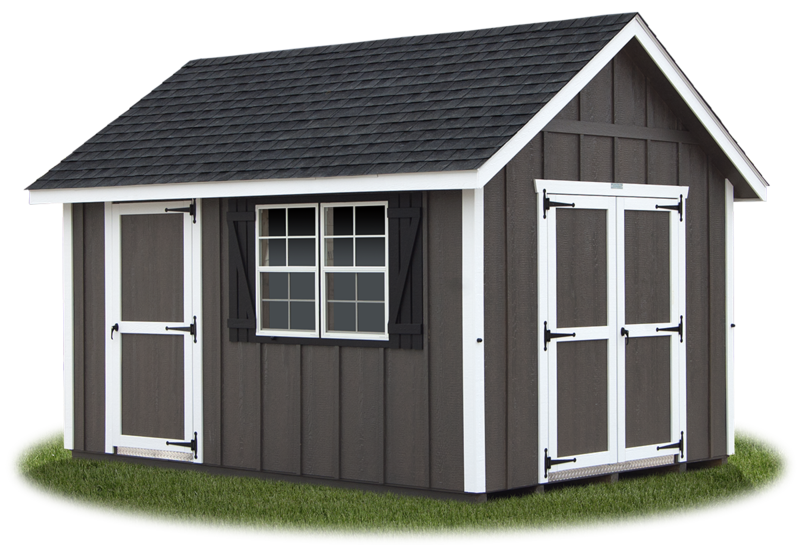 We are proud to announce that our Graphite Grey vinyl (previously an optional color choice) is now a standard color choice that has no added fee! 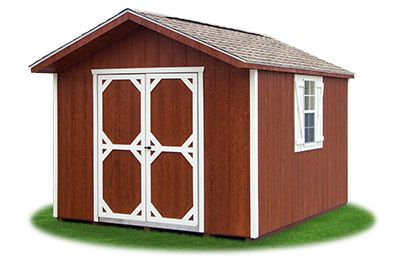 Pine Creek Structures now offers LP Board 'N' Batten siding for your structure. 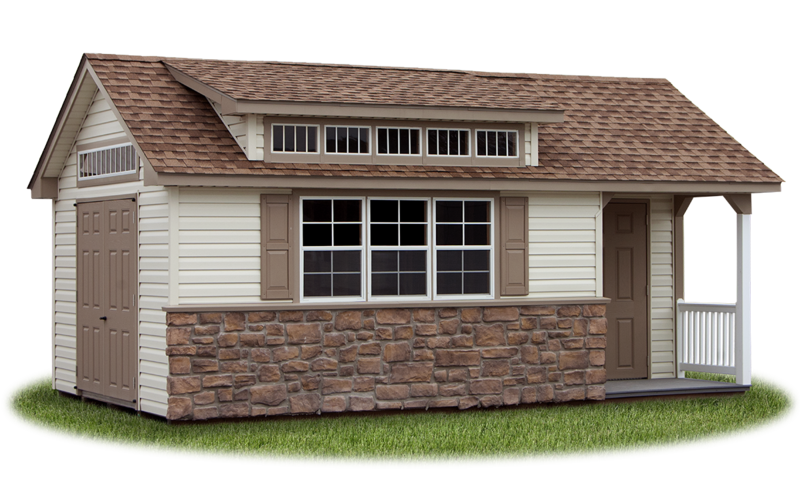 This new siding choice offers the look of traditional board 'n' batten siding, with the durability LP products are known for. 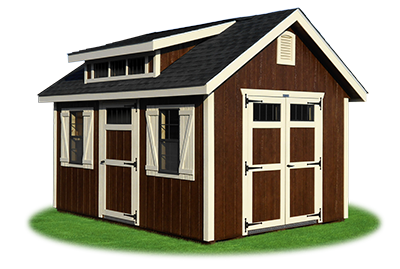 This siding option can be painted or we can apply one of our polyurethane colors for a more natural wood look. 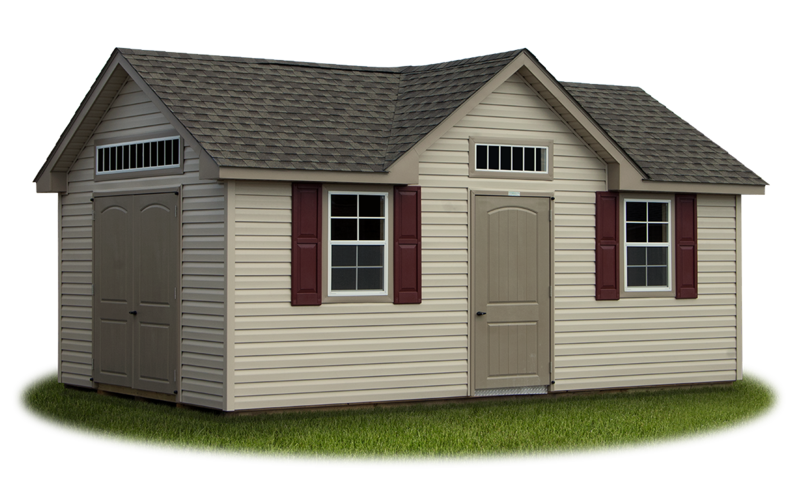 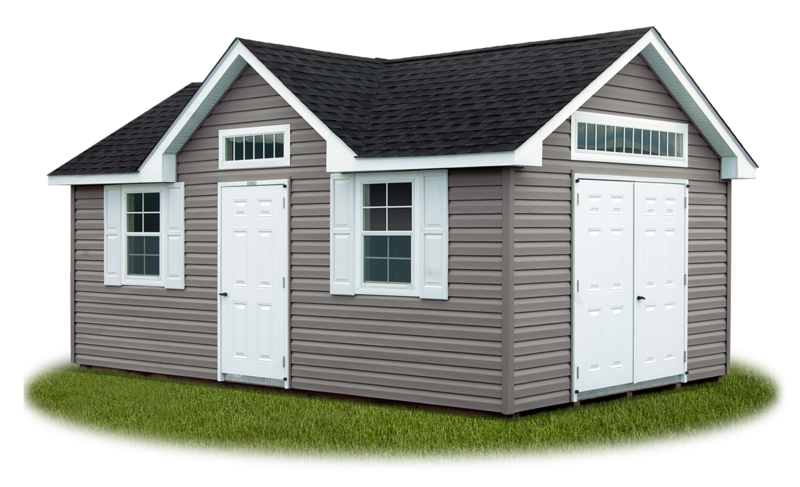 Our New England trim package and hardware is included standard on LP Board ’N’ Batten Smart Side models. 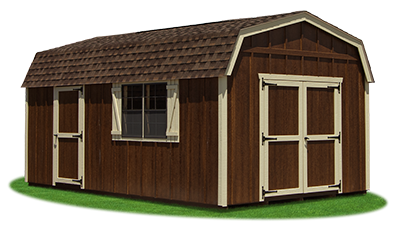 Featuring redwood polyurethane on LP Board ’N’ Batten Smart Side siding, beige trim and ‘Z' shutters, and weatherwood shingle roof. 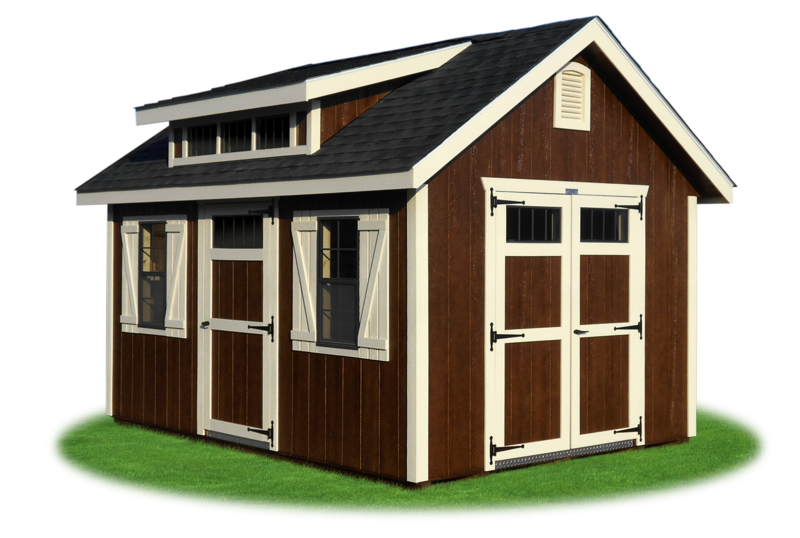 Upgrades shown on this structure: Shingle-over ridge vent and additional 36” single entry door. 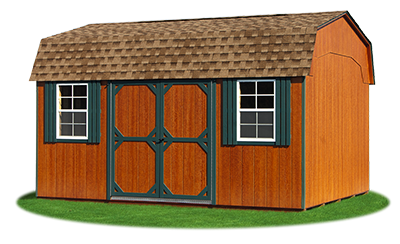 Pine Creek Structures now offers polyurethane color options for your structures. 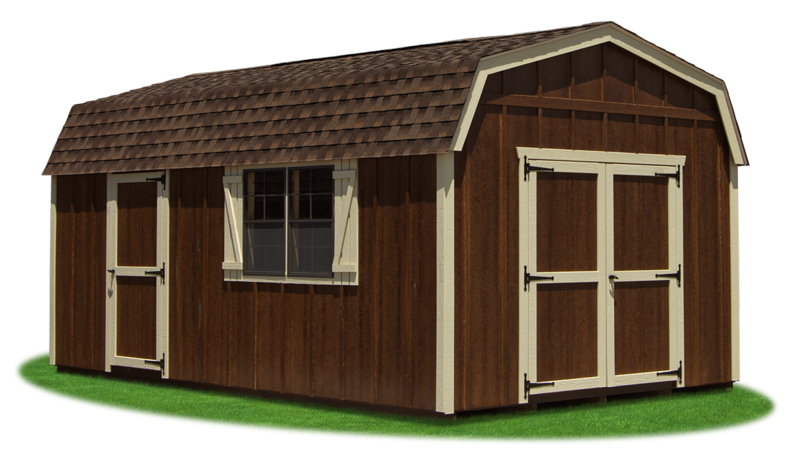 Available in four colors: Coffee, Rustic Cedar, Redwood and Driftwood. 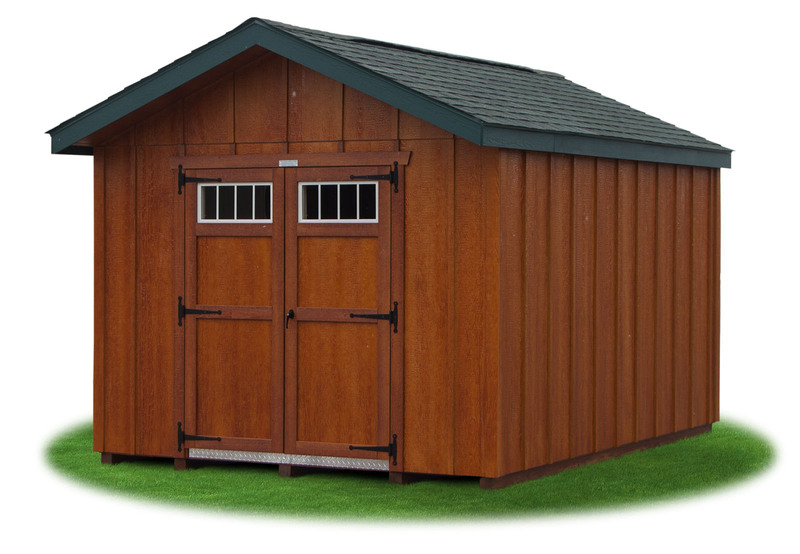 Polyurethane colors give your structure a natural wood look without all the maintenance and upkeep. 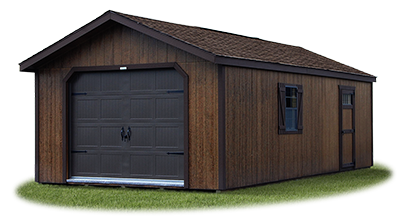 Polyurethane colors can be chosen for your LP Smart Side or LP Board 'N' Batten siding. 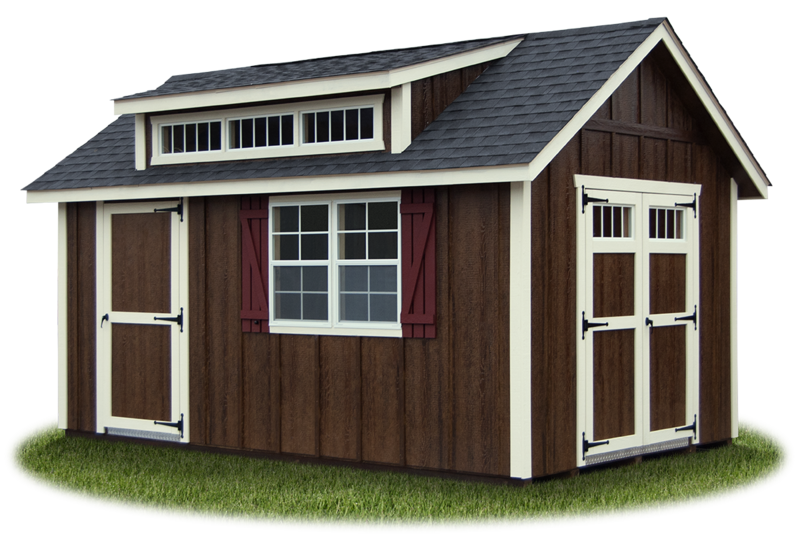 These new polyurethane colors come with a 10-Year no fade manufacturer's warranty. 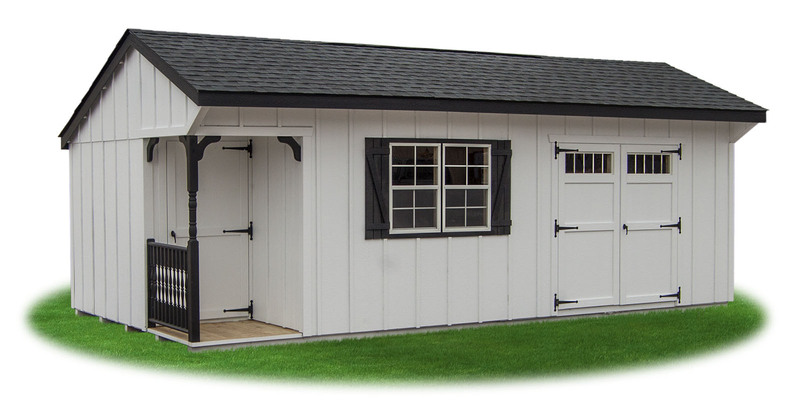 Click here to learn about ALL our color options! 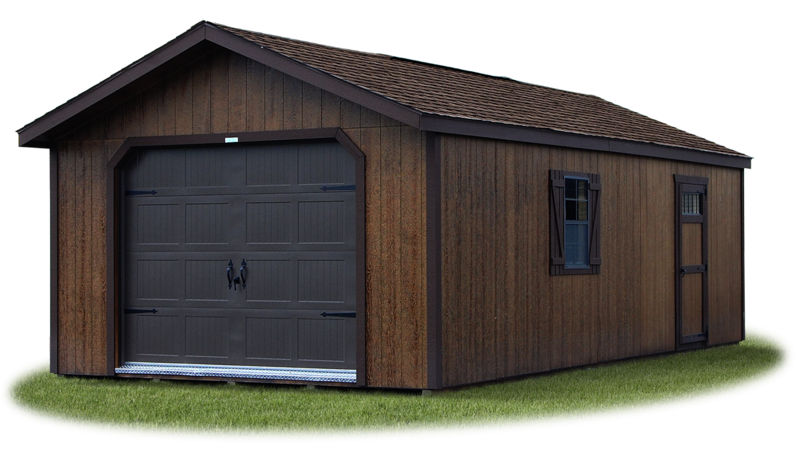 Shown with coffee brown polyurethane on LP Smart Side siding, dark brown trim, brown garage door, dark brown ‘Z’ shutters, and barkwood shingle roof. 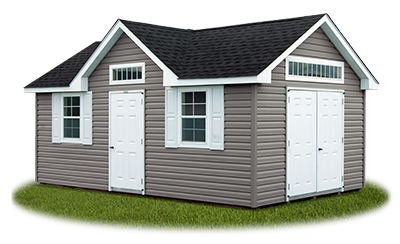 Upgrades shown on this structure: Shingle-over ridge vent, colonial style garage door, New England style hardware, transom windows in single door, and diamond tread plate. 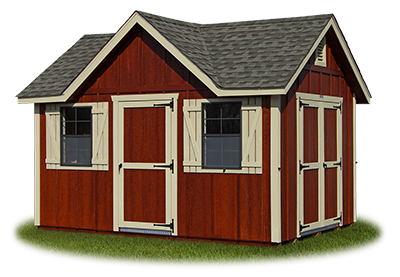 Featuring redwood polyurethane on LP Smart Side siding, Navajo white trim, Navajo white shutters, and shakewood lifetime shingle roof. 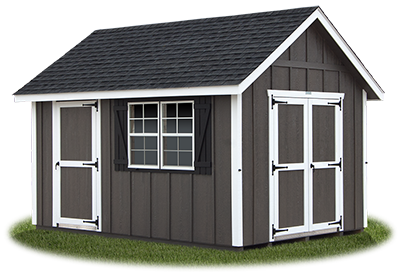 Upgrades shown on this structure: Diamond tread plate and shingle-over ridge vent. 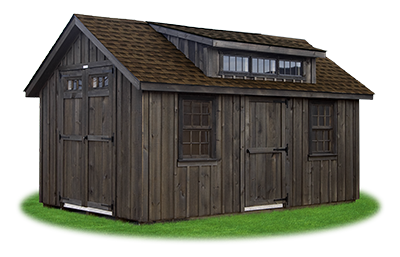 We offer hundreds of difference options to add to your building, including lofts, shelves, electrical packages, venting, and now... Cape Dormers! 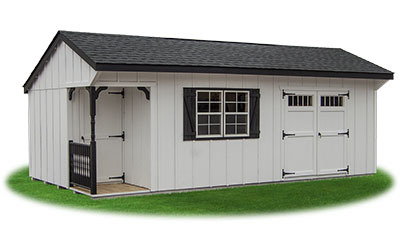 A cape dormer can be added to any cape cod style building. It features a row of small windows, allowing plenty of extra light into the interior of your shed. 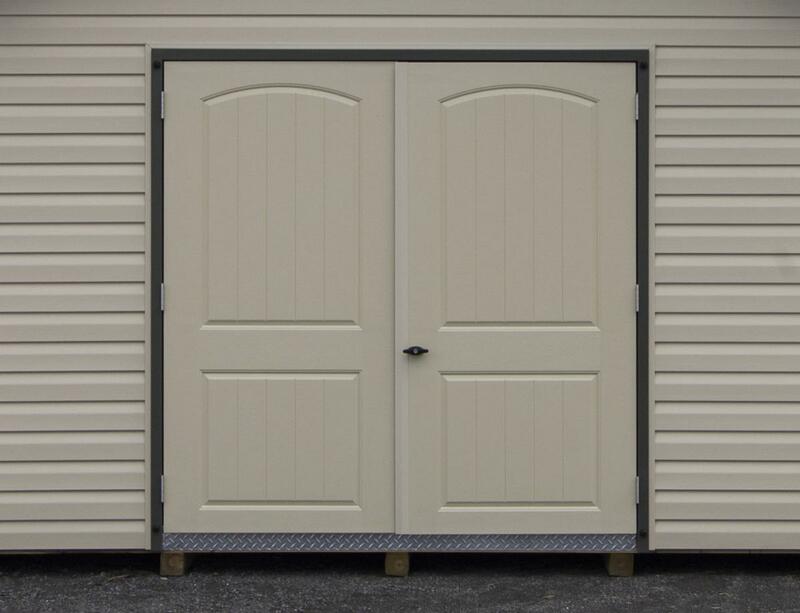 Plus the added visual appeal on the outside will make any building an eye catcher! 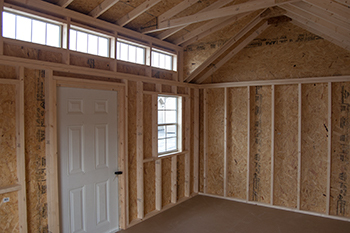 Cape Dormers let TONS of extra light inside the structures!